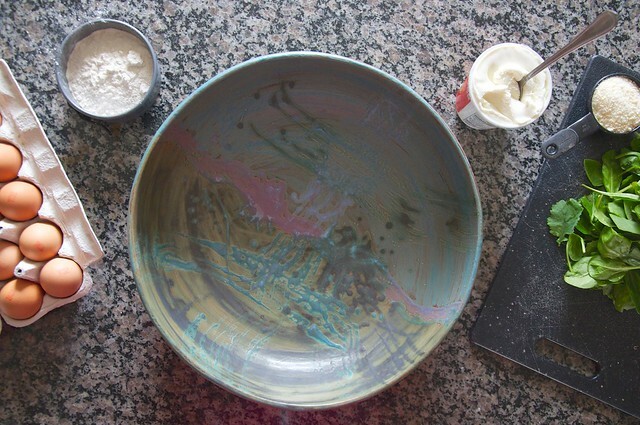 And now for a simple recipe you’ll want to make over and over again. We tend to overdo the pizza in this house. So, I was looking to make something that uses many of the same ingredients we always have on hand -- just in a different way. 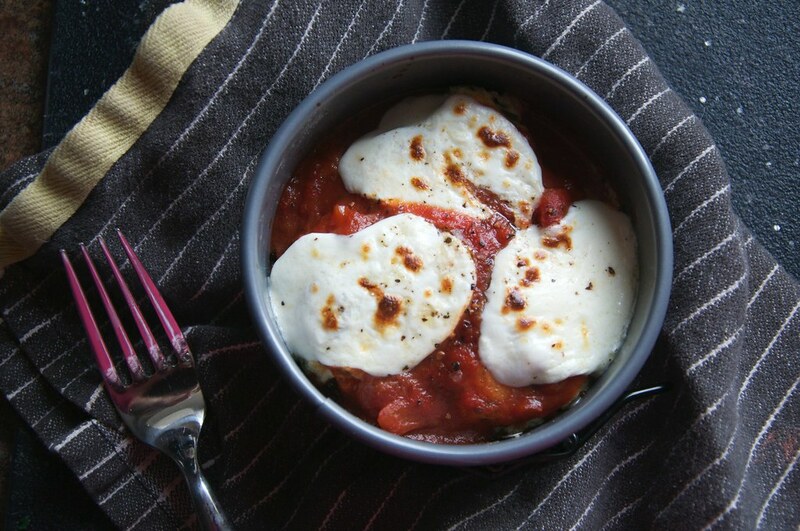 If you’ve never had baked gnocchi, you’re in for a treat. The gnocchi (pronounced like this) are super tender yet a hint crisp. You can bake them and eat with any kind of sauce you please (a pesto or brown butter sauce is divine!). 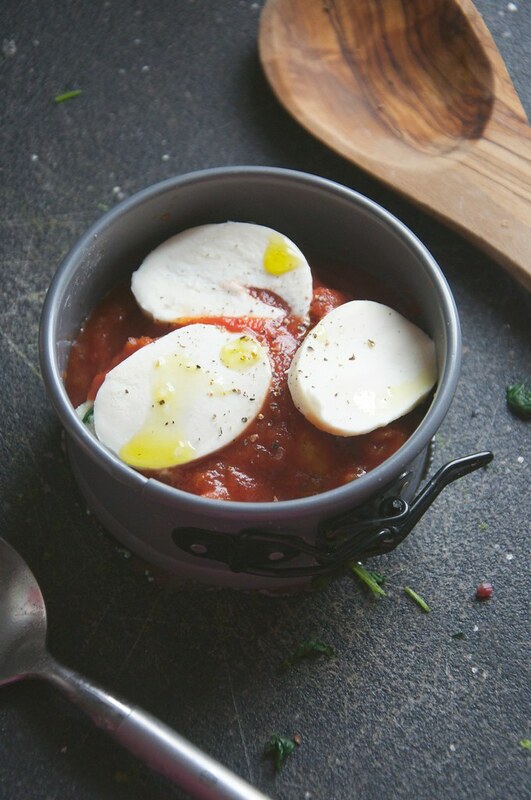 I chose to use some store-bought tomato sauce from Aldi and fresh mozzarella. And if you’re into individual portions -- these guys freeze quite beautifully. * I used caked flour because I wanted to see how it would work. All purpose would be a good substitute. I also think this recipe would lend well to gluten-free flours, just play with the amount. To get the right mix. You want the resulting gnocchi to be a bit firm but mostly tender. Preheat oven to 350 degrees F. Lightly grease two baking pans or dishes with olive oil and set aside. Blanche spinach leaves in a small pot of boiling water (1 minute). Immediately submerge in cold water to stop cooking. Dry leaves as much as possible using a tea towel and chop finely. 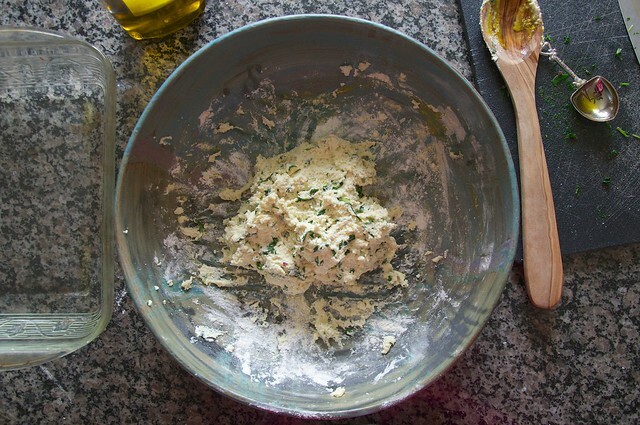 Toss all ingredients into a bowl and mix until you form a wet dough. 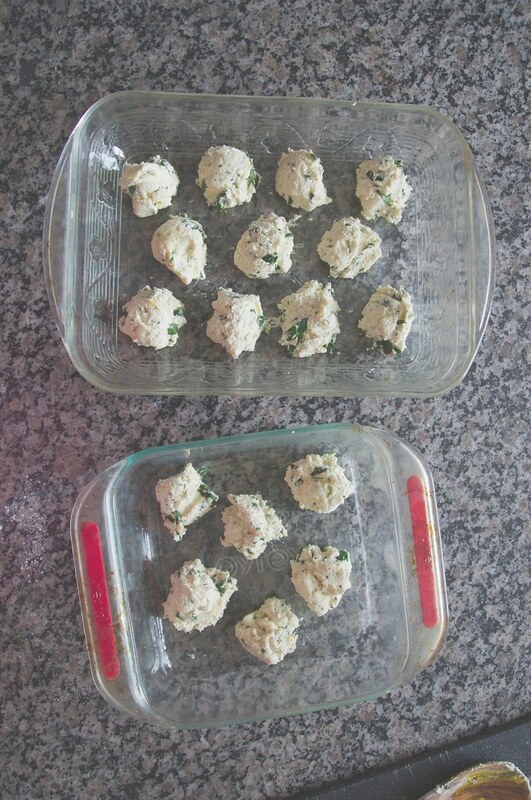 Portion out by heaping tablespoonful onto/into greased baking sheets or dishes. Bake for 20 minutes, until firmed up a bit and slightly golden. 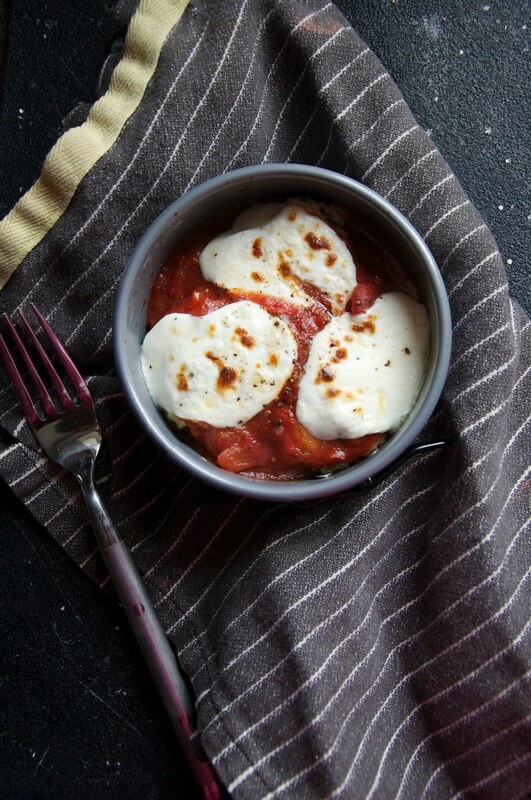 Then cover gnocchi with tomato sauce (a lot or a little, depending on your preference) and top with cuts of the cheese. Broil for 5-7 minutes until the cheese browns and bubbles. Spoon onto wax paper lined baking sheets in the tablespoon portions. Put in your freezer until completely frozen -- a couple hours. Store in an airtight freezer bag for up to 6 months. Then bake as instructed above in whatever size portion works best for you. I’m going to try to get my new year thoughts out today, but I’m still getting over this pesky sickness. So, whatever the case -- that post is coming next. I hope you enjoy this recipe, though. It’s definitely one that is getting put into the regular rotation because it’s so easy and delicious. Here’s to more recipes in 2015!